The likelihood of schools changing conferences depends on the amount of quality schools remaining. Every time a Power-Five (P5) conference expands, it takes a quality expansion target off the table. The conferences can only expand to become so large before they reach a climax where all the quality schools are already taken, and any further expansion is unwarranted as no remaining school can contribute more to the pie without decreasing the size of each slice. In other words, the conferences can only expand so far before they are forced to stop expanding. 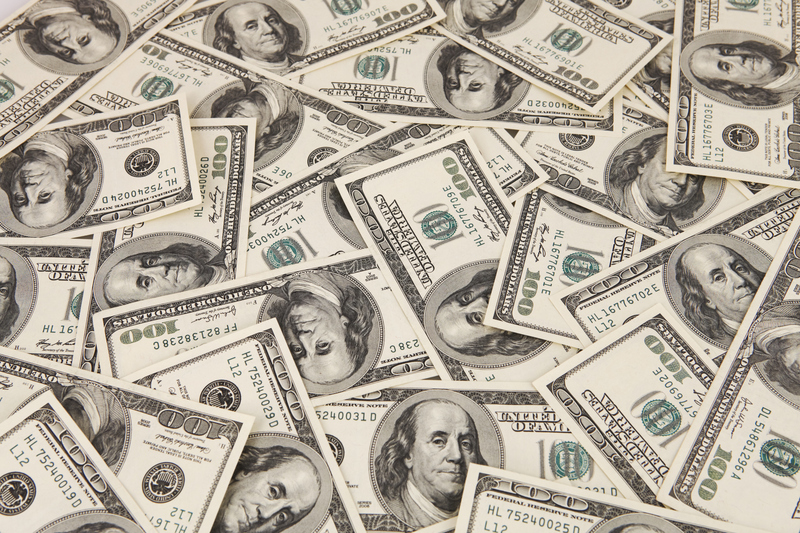 Every time they expand it increases revenue streams. This means that no matter how large the conferences grow, their commissioners will never be satisfied until they run out of quality expansion targets. 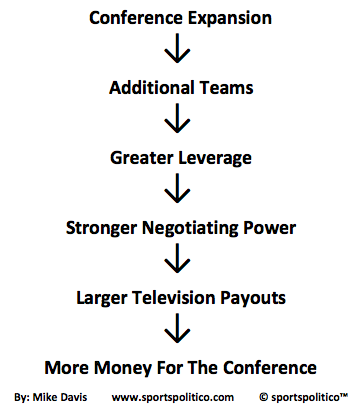 By moving to a 28-team setup we will skip the 16, 18, and 20 team stages in conference realignment. 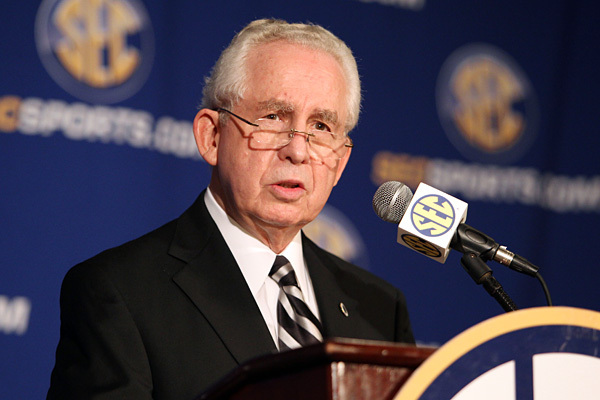 With each conference realignment addition, the amount of quality additions remaining decreases. However another decrease is the amount of quality additions that can be added under small expansion scenarios. Small expansion scenarios are conference realignment moves where only one or two schools are added to a conference at a time. They are only possible when the prospective target does not have any side baggage (refusing to leave unless certain schools join them). A perfect example of a small expansion scenario is Pittsburgh/Syracuse joining the ACC as a duo. A large expansion scenario would be moves such as the Pac-16 discussion when Texas wanted Texas Tech, Oklahoma, and Oklahoma State to come along with them. There are very few small expansion options left that would be of interest to the Big Ten or SEC. If a conference wants North Carolina and Virginia, odds are that it won’t happen unless Duke, North Carolina State, Virginia Tech and even Wake Forest come with them. The same could be said for Texas, where adding a number of partner schools such as Oklahoma, Oklahoma State, and Texas Tech is the only way to obtain the longhorns. 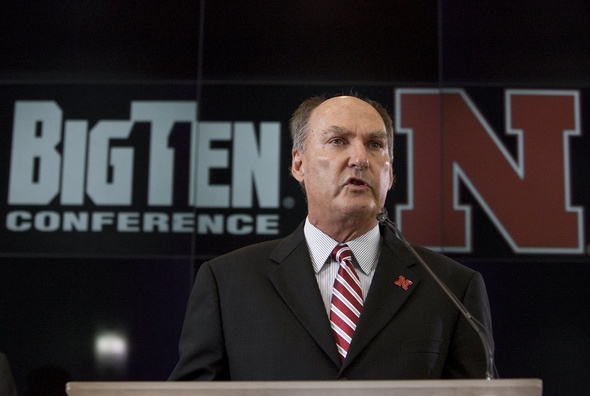 Conference realignment is rapidly approaching a point where the only foreseeable moves are the large scale raids where conferences like the Big Ten and SEC devour large chunks of the other three power conferences. 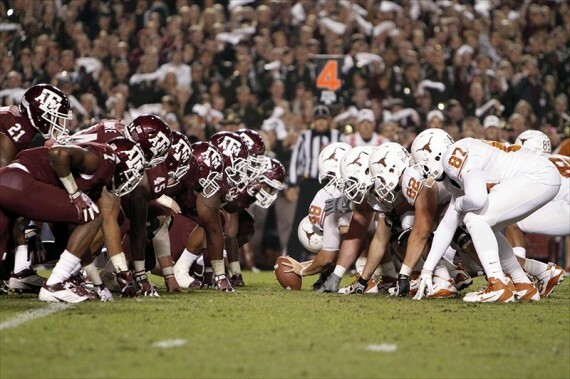 The most obvious explanation is the restoration of rivalries such as Penn State-Pittsburgh and Texas-Texas A&M. Other active rivalries such as Florida-Florida State are enhanced when they are turned into in-conference rivalries. The other big advantage is that by increase conference size, the traditional ten-team versions of the SEC and Big Ten can be restored. Contrary to popular belief, the best way for conferences to preserve traditional round robin play is by expanding. At 14 teams there are simply too many programs to revert to round robin play again. No matter how badly the traditionalists would like to make it so, Arkansas and Penn State are not getting booted from their respective conferences anytime soon. However we can expand the SEC and Big Ten and then split the conferences along “old members” and “new members” lines. This would effectively bring back the pre-1990s versions of the SEC and Big Ten. We didn’t see conference realignment happen because college administrators “just felt like it.” They expanded because it makes smart financial sense. This setup gives these conferences an unprecedented amount of leverage over the TV networks. Translation: The current blockbuster TV contracts will look like chump change after Delany and Slive will be making it rain for their conference membership. Like what you see? Check out more sportspolitico™ articles below.